Hebrews 13:2 Don’t neglect to open your homes to guests, be cause by doing this some have been hosts to angels without knowing it. So Halloween may not be what we usually think it is. Maybe you have heard that it translates to All Hallows Eve. The definition of hallow is to make holy. This is a holy night in the church calendar where we remember those who have gone before us, died. John Wesley was very fond of this eve-ning! As it brings in All Saints Day. But do we realize the opportunity this cultural event provides us? As disciples of Christ what do we want to show the world, a closed door, complaining? Or, should we use this night to show the hospital-ity mentioned in Hebrews 13:2? Maybe we can show our neighbors our generosity. We can give alter-native treats (pop corn, play dough, tooth brushes) with a sticker on the back that says God Loves YOU, or a small hand out explaining All Hallows Eve. 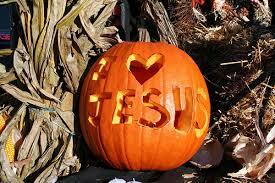 Maybe this Halloween we can open our doors and our hearts to God’s people and lead them to Jesus.